The University of North Carolina at Wilmington plays college baseball at the Division One level. They are members of Colonial Athletic Association. 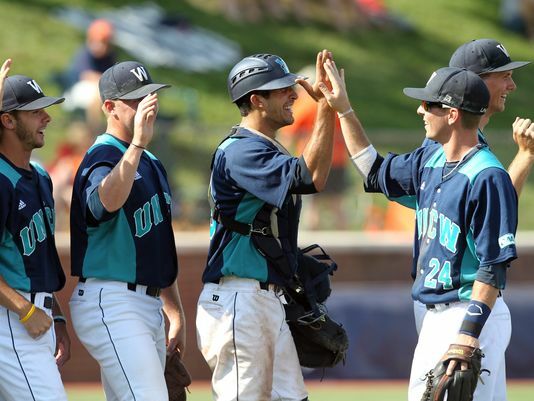 UNCW Baseball’s nickname is the Seahawks and their team colors are teal, navy and gold. The Seahawks play at Brooks Field, an on-campus facility in Wilmington, North Carolina which seats 3000 fans. Mark Schalf has been the UNCW baseball head coach since 1992. UNCW has a great baseball history, stretching back to the days when they were still a junior college. The Seahawks won the the National Junior College Athletic Association national championships in 1961 and 1963 under Bill Brooks, who would coach the team for 27 years. During his reign he would see the the college transition from a two-year school to a four year school and join the NAIA, which the University of North Carolina at Wilmington would be a member of from 1965 to 1976. Brooks was also coaching when UNCW baseball jumped to Division 1 in 1977, and then joined the CAA. In 1992 Mark Schalf, who had played for the Seahawks in the ‘70s and been an assistant coach at his alma mater during the 80s, was named head coach, replacing Bobby Guthrie. In 1995 Schaff was the CAA Coach of the Year. 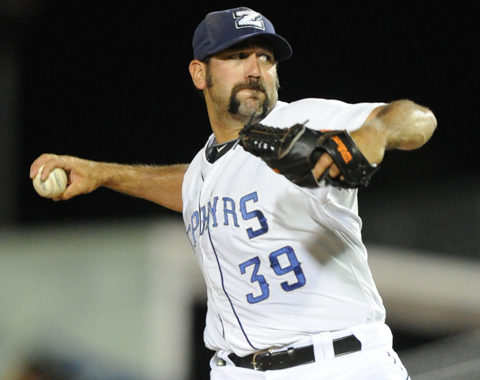 Things really started rolling for Schlaf and UNCW baseball in 2000 as they won 36 games, the Seahawks most ever as a NCAA squad. In 2003 the team won 40 games for the first time and snagged their first Division 1 NCAA Tournament appearance with an at-large bid. By 2006 they had become the first school in Colonial Athletic Association history to have four straight 40 win seasons and had also grabbed National Collegiate Athletic Association tourney bids for winning their conference tournament in 2004 and 2006. The Seahawks returned to the NCAA tournament in 2008, 2012 and 2013. They are the only CAA team to qualify for every Colonial Athletic Association post-season tournament since the competition began in 1986. 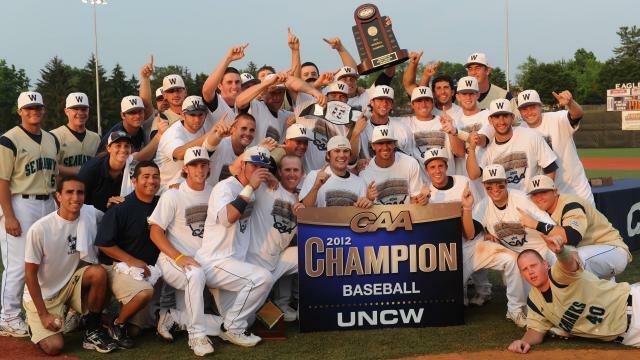 UNCW baseball went 38-13 during the 2013 season and topped the CAA with a 18-8 mark. Michael Bass led the team with a .380 batting average and 26 stolen bases. For his efforts the infielder received five All-American honors and was selected in the 27th round of the Major League Baseball Entry draft by the San Diego Padres, who also selected UNCW pitcher Justin Livengood in the tenth round. Brooks Field, where University of North Carolina at Wilmington baseball plays their home games, is a big part of the Seahawks program. Built in 1989 and named after their long time coach Bill Brooks the stadium seats 3000 and has been used as the host park of the CAA Baseball Tournament 11 times. In the past the facility has also been used by area minor league baseball teams. The field features a concession stand and a team store. National Junior College Association National Championships: 1961, 1963.